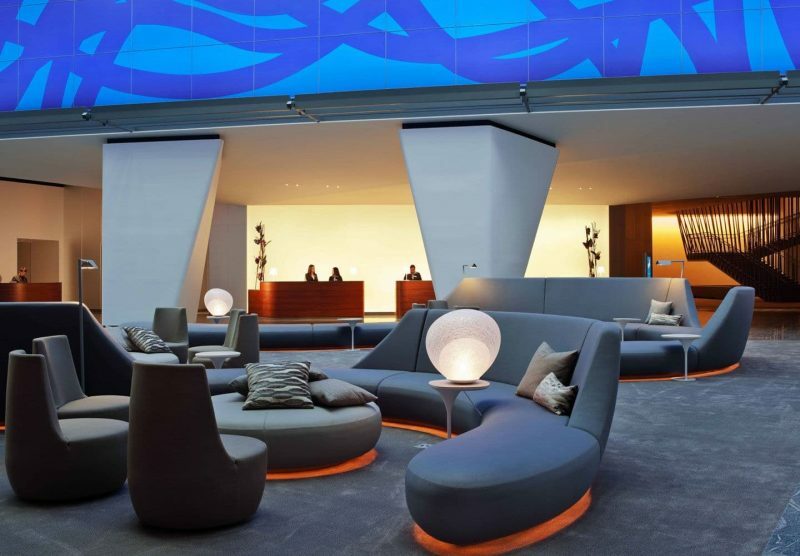 Conrad New York offers 30,000 sq. 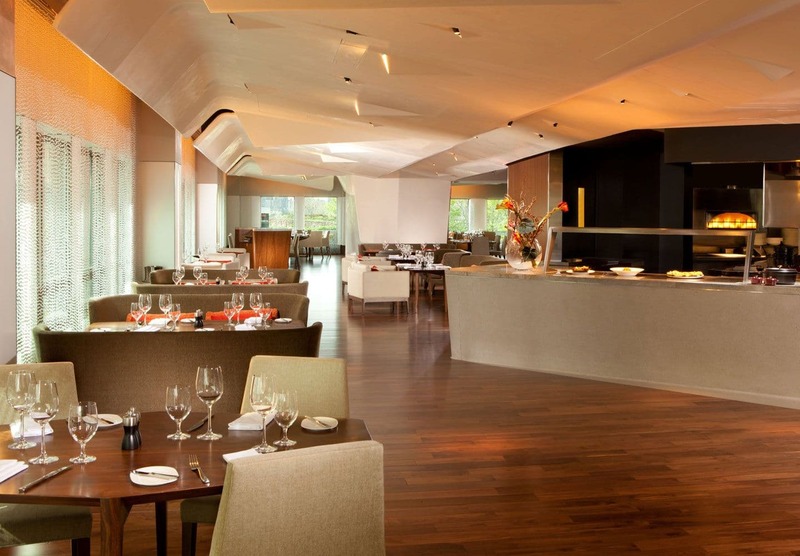 ft. of centrally located event space and up to 18 meeting room combinations accommodating events up to 600 attendees. One of the most impressive things about Conrad is the artwork. A number of post-World War II masters and contemporary artists have displayed their work throughout Conrad New York’s public spaces, from meeting rooms and business center to the restaurant and guest room corridors. 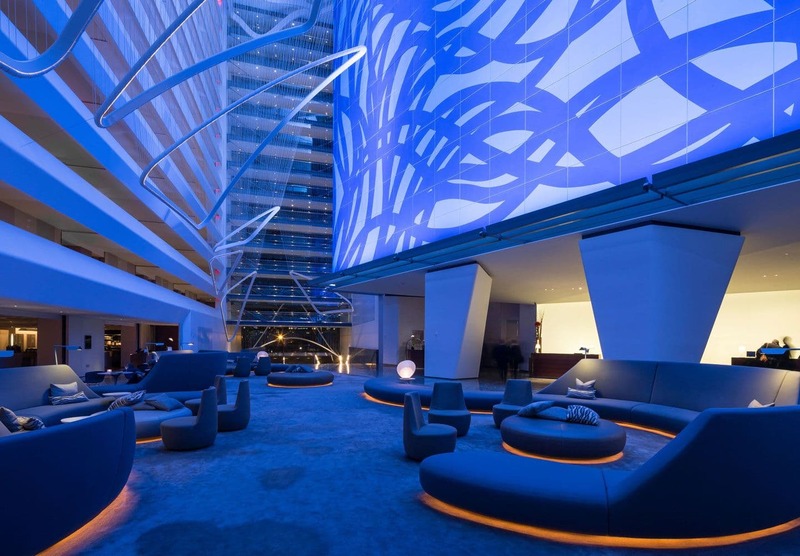 Guests are welcomed into a soaring, sunlit, 15-story atrium highlighted by a dramatic blue and purple Sol LeWitt painting, ‘Loopy Doopy’. The painting, considered by many to be one of the late artist’s great works, is LeWitt’s largest – spanning 100 feet by 80 feet. The work required 100 gallons of paint and 3,000 hours to finish. 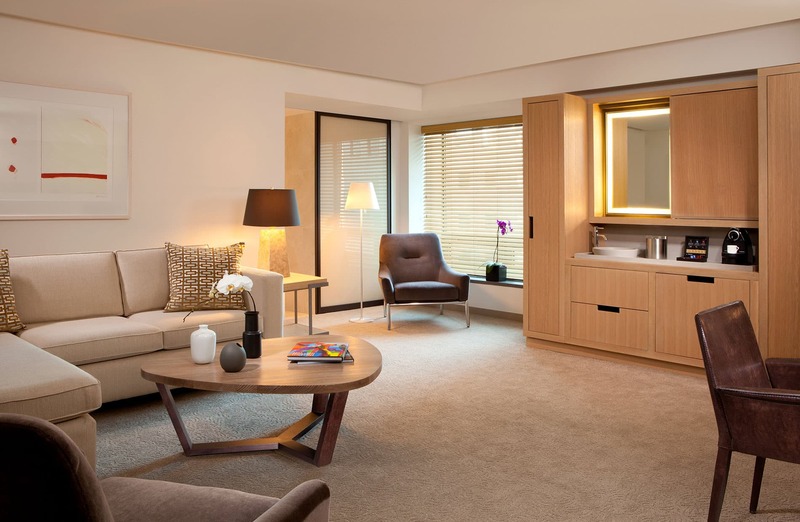 Conrad New York offers some of the most spacious suites of any hotel in Manhattan; its guest rooms average over 430 square feet. Also, the hotel’s sophisticated luxury means that each spacious guest room is outfitted with integrated technology, flat-screen televisions and individual climate control, as well as other innovative in-room amenities. 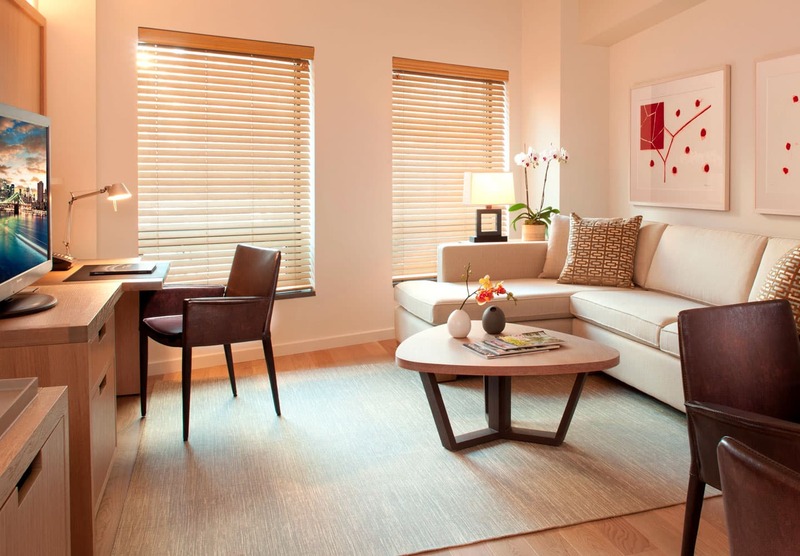 Deluxe Suites feature 430 square-feet of a contemporary two-room layout, offering a separate living room and bedroom. 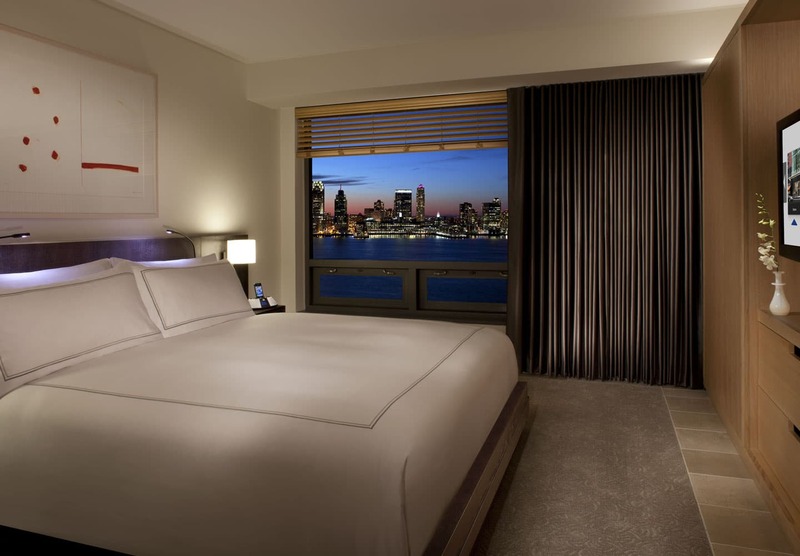 Hudson River View Suites feature a two-room spacious layout with separate living and sleeping areas with a stunning Hudson River view from the bedroom. 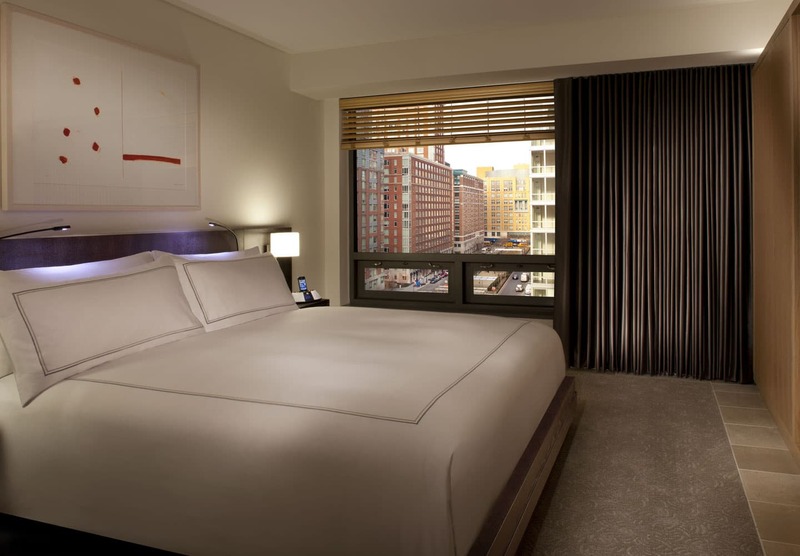 With more than 700 square-feet of space, Executive and Luxury Suites feature a large private bedroom with a king bed, walk-in closet, and separate living room. 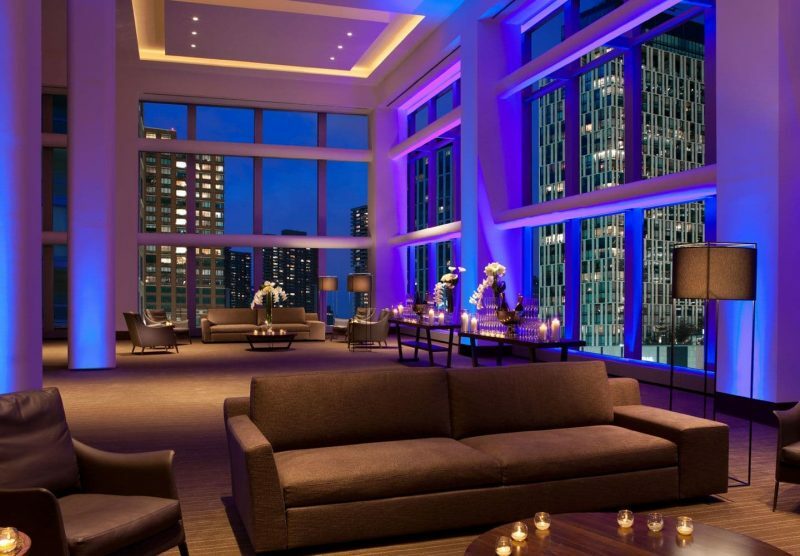 Truly impressive in proportion, the 1,500 square-foot Conrad Suite is situated on the top floor of the hotel and offers sweeping views of lower Manhattan, giving this abode the lavish appeal of a grand New York apartment. Guests that require Accessible Suites can take comfort in the many options available, from Accessible Deluxe Suites to our Accessible Conrad Suite. Exclusive to the Conrad Suite is a private study with a computer, a living room, plus a kitchenette with a stylish dining area. Featuring more than 700 sq. 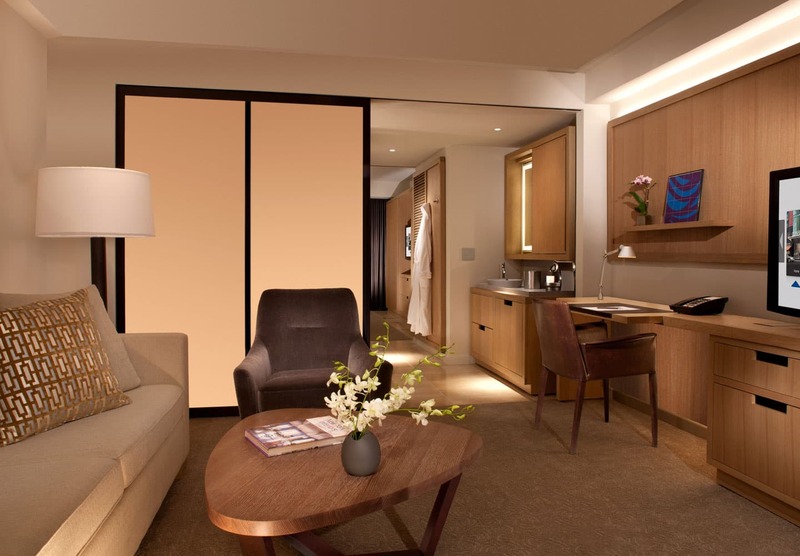 ft. of space, each Luxury Suite boasts a private bedroom, a sleek living room and added amenities. 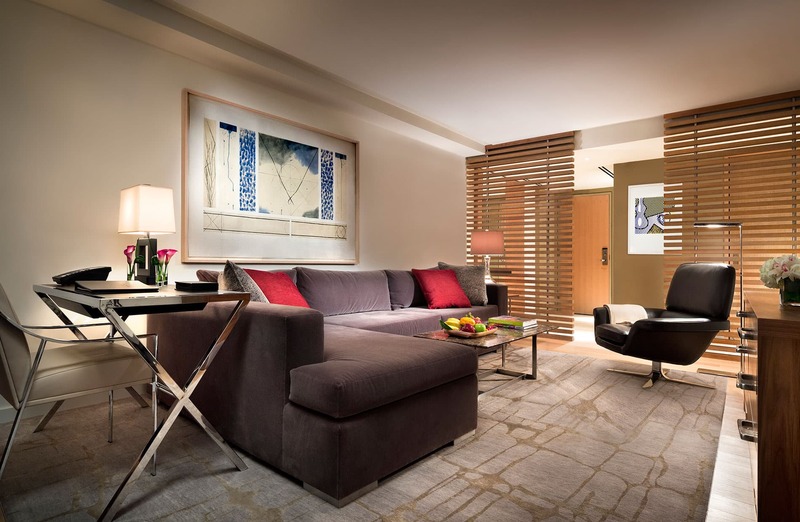 Conrad New York offers 463 spacious suites, guest rooms that average more than 430 sq. ft.
Deluxe Suites feature 430 sq. ft. of a contemporary two-room layout, offering a separate living room and bedroom. 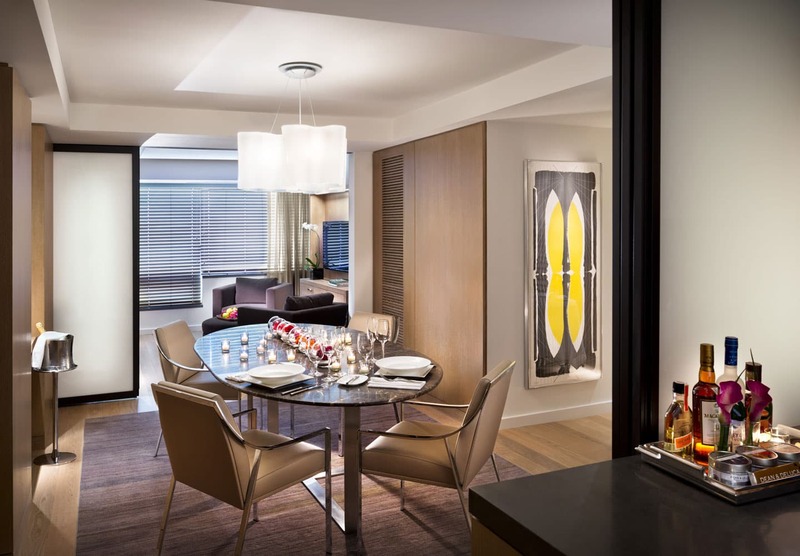 Conrad Suite is the largest suite featuring a sleek design and a separate dining area, perfect for entertaining friends in style. Hudson River View Suites have 430 sq. ft. of space and feature private bedrooms with stunning views of the Hudson River. 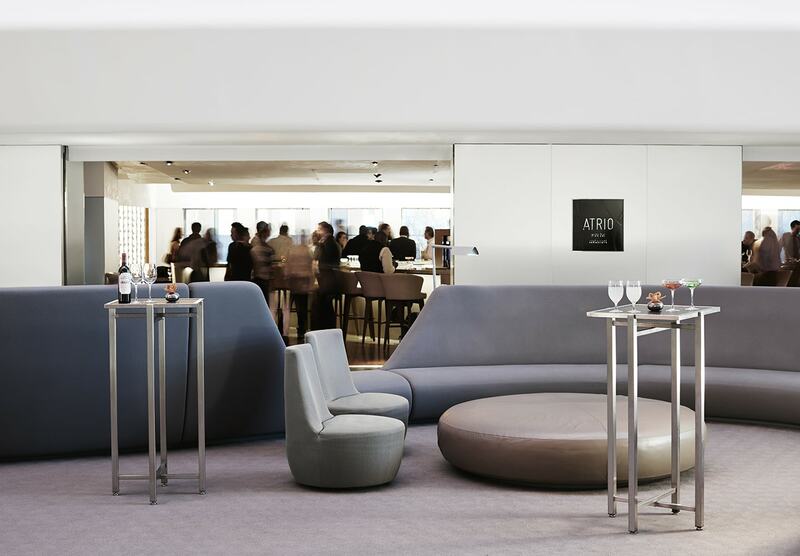 Conrad New York also has the all-day, full-service contemporary restaurant ‘ATRIO’ located on the hotel’s lobby level, providing seasonal and signature dishes from Executive Chef Gerron Douglas. 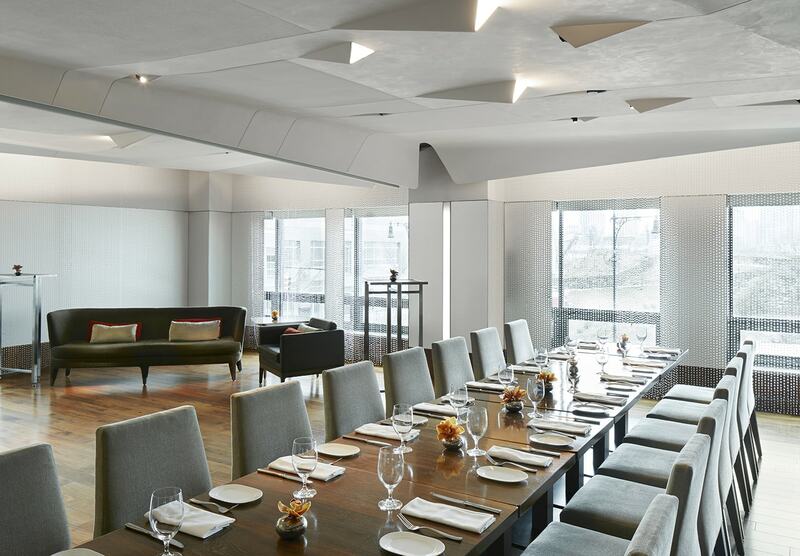 The restaurant offers space for private events in the Private Dining Room and at the Wine Bar. As the epicenter of power and prestige continues to shift to Lower Manhattan, ATRIO remains the premier destination for New York City dining. It is highly desirable for power breakfasts, business lunches and as a meeting point for drinks or dinner at the end of a day. That’s not everything! Sixteen stories above street level, the hotel’s ‘Loopy Doopy’ Rooftop Bar provides delicious libations like their signature Prosecco & Ice Pop and Rosecco & Ice Pop cocktails, an alcohol-infused people’s pop served in a glass of Prosecco or Rosecco from its very own tap. 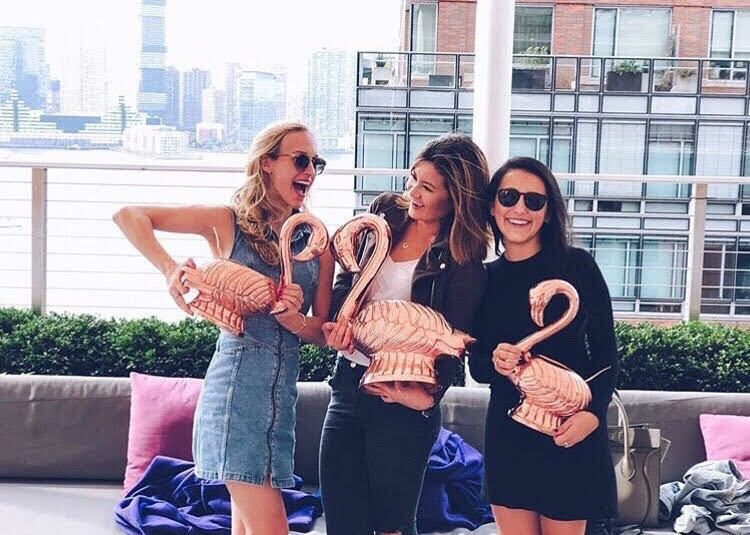 Guests can also enjoy light bites and sweeping vistas of New York Harbor, the Statue of Liberty, and one of the best sunset views in all of Manhattan. Featuring high-top seating for remarkable views, Loopy Doopy Rooftop Bar is the liveliest seasonal destination in Lower Manhattan for drinks and dynamic conversation. 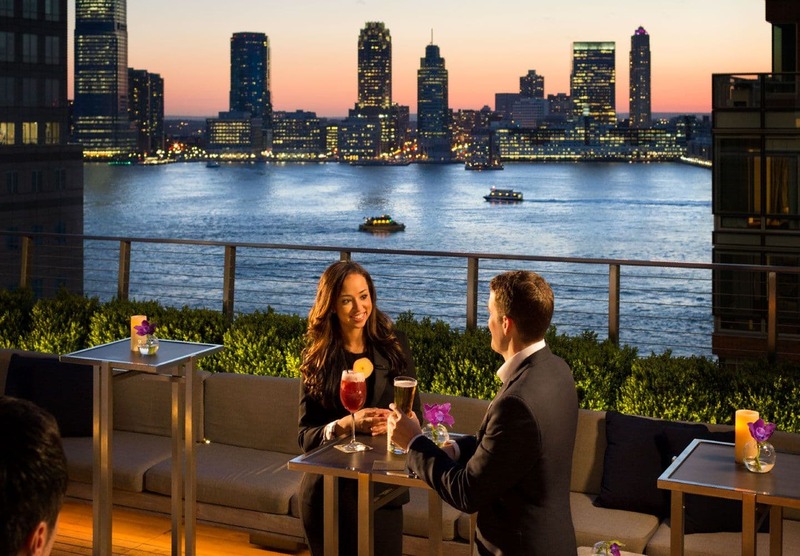 Sixteen stories up, the hotel’s Loopy Doopy Rooftop Bar provides delicious libations and views of the Hudson River.